The 16th annual Independent Film Festival Boston starts Wednesday night with Bo Burnham’s directorial debut, EIGHTH GRADE! With over 100 films screening this year, I thought it’d be a good time to refresh the LonelyReviewer Pro-Tip guide for attending the fest! 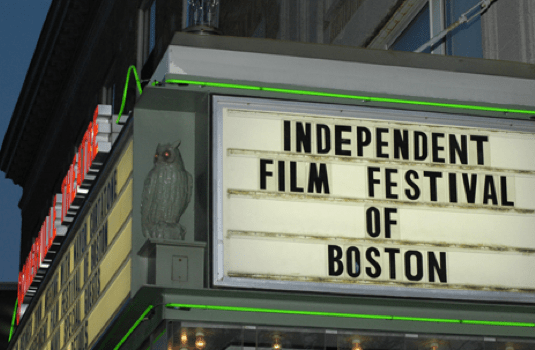 There are over a hundred movies playing at IFFBoston this year, but with so many options, you’re still having trouble deciding. This festival is one of the best programmed festivals I’ve ever attended. If you aren’t sure what film to see, if anything looks even slightly interesting, there’s a good chance you’ll enjoy it. There have been times when I took a total chance, and those films ended up being some of my favorites. Head on over to iffboston.org/buytickets to view the film schedule and descriptions. Map out your fest ahead of time! If there’s something you definitely want to see and are not a pass holder, BUY YOUR TICKETS AHEAD OF TIME. Space is limited, and films sell out. Even if you have a ticket, show up early! You don’t want to get stuck in a bad seat! I often show up 45 minutes to an hour ahead of time, especially when the festival is in full swing. Minutes count. The festival saves space for pass holders. Just because advanced tickets are sold out, doesn’t mean the film is totally sold out. Fifteen minutes before the show, empty seats are released to the rush line. I’d recommend showing up as early as possible for Rush Lines as well. If you have any questions during the festival, walk right up to the volunteers, they’ll be super easy to spot. Everyone is there to make sure you have the best most memorable time possible. It may seem a bit overwhelming at first, but go to one screening, and I can be certain you’ll be back for more! If you have any more questions, please feel free to post in the comments below – and we’ll see you opening night!